The Davidson Optronics D-656 measures both orthogonal planes without adjustment of the instrument because the same dial is used to obtain azimuth and elevation readings. 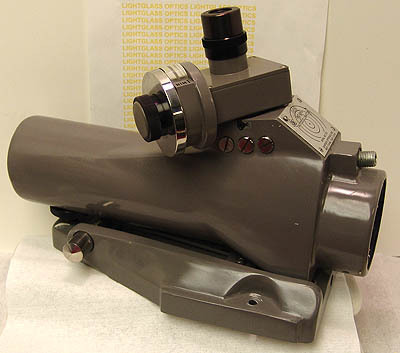 This instrument has a dark-field reticle and an illuminated target. The filar eyepiece on this will allow precision readings to 1/10th of a second of arc. It includes its factory wooden case. Price includes Calibration at Davidson Optronics. Calibration takes a few weeks, and the instrument will be shipped to you with the Calibration Certificate in your preferred name..